I know I have mentioned we like things hot around here, about a million times right? But this is a true example of our love of all things spicy/hot. We use Sriracha like ketchup here. I mean it seriously goes on everything, OK well maybe not pancakes but there isn’t much else it doesn’t go on. Have you heard the Frank’s Red Hot commercial with the old lady that say’s, “Frank’s Red Hot…I put the sh*t on everything”? Well we could easily do that commercial here, and we wouldn’t even need to be paid, OK well maybe free hot sauce for life but that would be it! These are by no means that hot, but they are spicier than regular hot wings. I used to use Frank’s Red Hot Wing Sauce before trying this. Now we will never make them any other way. 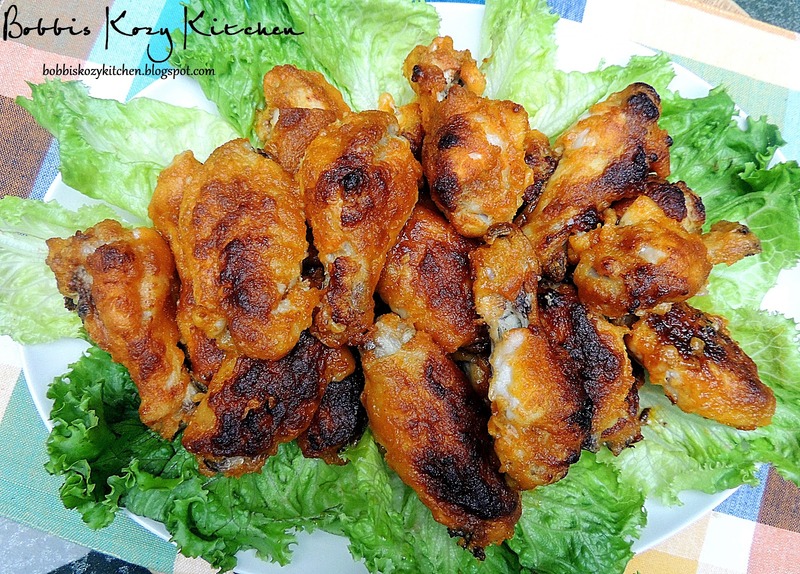 This is a super simple variation of my Baked Buffalo Chicken Wings. So they are “lighter” than your typical fried hot wings. You might want to make 2 batches though because they go fast! !